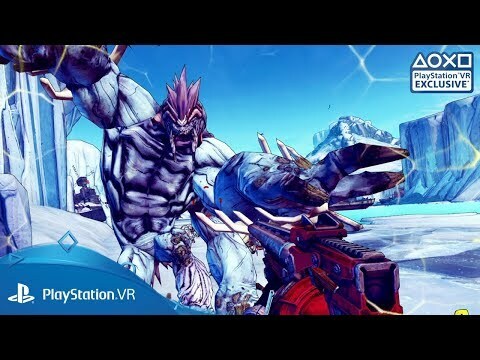 Gearbox's legendary shooter-looter, Borderlands 2, makes the leap to PlayStation VR. 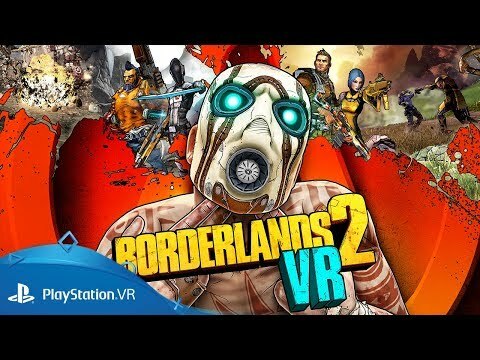 Immerse yourself in the untamed, outlaw world of Borderlands like never before with the power of PlayStation VR. Step into the boots of a notorious 'Vault Hunter' and arm yourself with hundreds of over-the-top weapons as you embark on a nobel quest to line your pockets with loot. Blast away bandits with true-to-life, 1-to-1 aiming using PlayStation Move, beat-down psychos in the desert, or race across Pandora's wastes in stolen vehicles in a bid to free the planet from Handsome Jack’s wicked clutches! 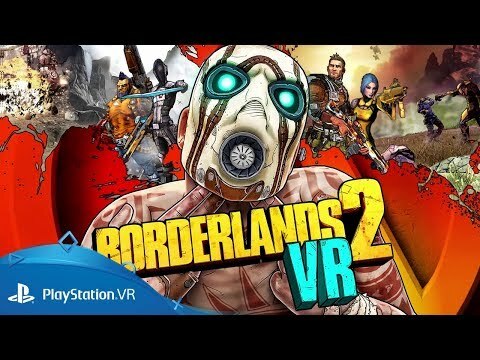 The whole single-player campaign is completely playable on PlayStation VR. Pick your Vault Hunter from one of four distinct classes - Siren, Commando, Gunzerker or Assassin - and wage war with unique skillsets and combat styles! Shoot-and-loot with bazillions of procedurally-generated guns, shields, grenades, relics, class mods and more, each with their own abilities and modifiers! Use the new 'slow-mo' ability to set up devastating kill shots or use the teleport ability to gracefully glide your way across Pandora.